Family holidaymakers and city break enthusiasts can enjoy the new and innovative JUFA Hotel Hamburg HafenCity****! Fantastic family facilities and services, buggy hire and exciting indoor and outdoor play areas make a holiday in Hamburg a great experience for the whole family. The JUFA hotel is located in the heart of the trendy HafenCity quarter and is an ideal base from which to embark on a journey of discovery through the city of Hamburg. An array of sightseeing attractions such as the Elbphilharmonie (symphony hall), the International Maritime Museum and the Lohsepark are only a few minutes’ walk away from the hotel. If you don’t feel like walking, you can hop on the underground close to the hotel which will quickly take you to Hamburg’s city centre, the landing bridges and the Reeperbahn. The new JUFA Hotel Hamburg HafenCity**** offers families special family packages, buggy rental, indoor play areas and great outdoor facilities where the kids can let off steam. For example, the Störtebeker Ship, a large open-air climbing centre, and a mini harbour await your brave sea adventurers and mini captains. Youngsters also sometimes prefer to spend time away from the grown-ups which is no problem in the large indoor adventure area. 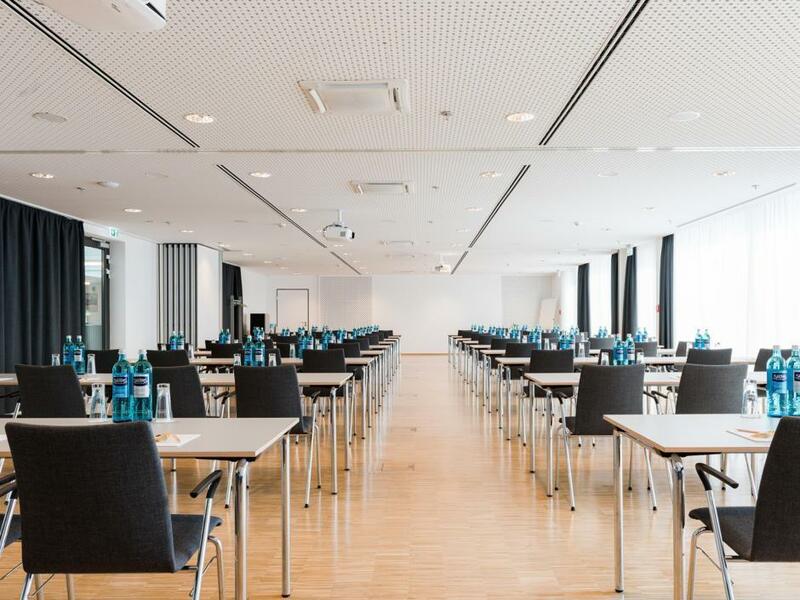 Thanks to its fantastic location, easy access and modern facilities, the JUFA Hotel Hamburg HafenCity**** is the ideal venue for seminars and workshops. We also ensure that tour groups are in the best of hands. We make sure that every type of activity programme is seamlessly organised in advance. Relax and enjoy a get-together in our guest garden on the quayside or on the sun terrace. The JUFA Hotel Hamburg HafenCity**** is located in the new HafenCity district of Hamburg. Guests can make use of the underground parking spaces available for cars (€15/24h). The city’s most famous sightseeing destinations can be easily reached by foot or with the underground from the hotel’s convenient location south of the city centre and the old quarter (Altstadt). Airport transfer: From the airport “Hamburg Airport” with the suburban train S1 to the stop “Berliner Tor” – change to underground U4 direction “HafenCity Universität” – Exit “HafenCity Universität” – Exit “Ost” directly at the JUFA Hotel Hamburg HafenCity ****. 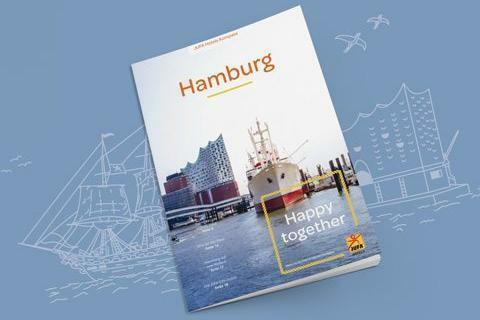 It is recommended to buy a Hamburg Card, including public transport and costs € 9.90 for 24 hours / for groups (2-5 persons) € 18.50 (can also be booked online before arrival, or is available directly at the airport). More information about the Hamburg Card or the HVV timetable. Taxi: The taxi areas are located in the arrivals areas behind the exits in front of terminals 1 and 2. A ride to the city center is about 10 kilometers and costs about €30 to €35. You can determine the target price for your destination with the taxi calculator. For trips to and from places outside of Hamburg you can arrange fixed prices. From the North (A7): A1 direction Lübeck/Berlin – Exit 26 “HH-Stellingen” on B4 / B5 – B5 direction “HH-Stellingen” – Follow B4 for approx. 8.5 km – turn right into Brandswiete – after approx. 800 m left on Überseeallee – Hotel is located after 500 m on the right side. From “HH-Centrum/HH-Veddel (A255)”: on A255 – exit direction “Zweibrückenstraße” on B4 / B75 – left on “Zweifrückenstraße” – left on “diversion Versmannstraße” – left on “Beakenhafen Brücke” – after the bridge right on Versmannstraße – Hotel is after 200 meters on the right side. Note: If you arrive by car we recommend the use of our underground garage (€15/24h). Please drive directly in front of the roller shutter door so that it opens. Due to construction measures, there are unfortunately no parking spaces along the street in the immediate vicinity of the JUFA Hotel. Please note the corresponding notes. The driving on Versmannstrasse is always free for guests and residents! For more detailed information on how to reach us by other forms of public transport, please refer to the websites of ÖBB and Deutsche Bahn. The park scores with lush flowery carpets, a café and numerous recreational opportunities. For children, a large playground with climbing frame, trampoline and basketball hoop is available, ideal for playing and romping! Thanks to the skate area and the climbing route, even the big ones will not be bored. 60 fruit trees bear delicious fruits, whose picking is not only allowed, but even desired. Due to its proximity to the JUFA Hotel HafenCity ****, Lohsepark is a place for relaxation, play and leisure. The Baakenpark scores with its direct location to the JUFA Hotel Hamburg HafenCity****. For children, a large playground with climbing frame, trampoline and basketball hoop is available, ideal for playing and romping! The park as a place offers a place for relaxation, play and leisure. Here you can soak up the sun, sniff the harbor air and watch ships, fill up your own energy reserves – just let your mind wander and enjoy! You will pass a range of impressive church bells as you climb up the steep steps of the tower of “Der Michel”. When you reach 106 metres, you will be rewarded with a fantastic view over Hamburg. Are you looking for a particularly romantic experience during your city break in Hamburg? During the evening, you can take the “Nachtmichel” lift. Your trip will be accompanied by classical background music as you enjoy the fabulous view over the whole of Hamburg. Conference hotel for seminars, international congresses, team meetings and multi-day workshops in Hamburg. 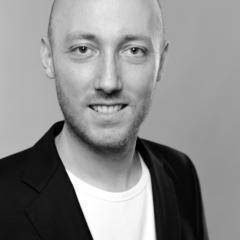 The hotel manager Sebastian Lange and his team are available to answer your questions at any time! Im interested in the offer "JUFA Hotel Hamburg HafenCity****" in the .